Image credit: Nils Nordal. All rights reserved. Oxford University researchers work with partners around the globe to develop new treatments to benefit people worldwide. Sometimes, those relationships enable our scientists, many of whom are also practising doctors, to benefit individuals too, as Kimberley Bryon-Dodd explains. July 28 is World Hepatitis Day. More than 300,000 people in the United Kingdom are known to be infected with Hepatitis C virus. Although in some cases it can be a relatively mild infection and patients eventually eradicate the virus after a couple of weeks, it can also be a lifelong condition causing severe liver damage that requires a transplant and that can ultimately result in death. Knowing that you're dying if nothing happens is very different to knowing that you will die soon. In 2014 Nils Nordal was on the brink of death due to liver failure. After contracting the disease during dental treatment in Egypt 20 years ago he desperately needed a liver transplant to survive. However, the hepatitis virus would attack any new liver so he urgently needed treatment before surgery to clear the virus from his bloodstream. In an impossible situation, his body was so weak that the standard treatment to clear the virus (interferon) would likely kill him. Each week ten litres of excess fluid needed to be drained from his abdomen in an excruciatingly painful procedure, and he was bent over, unable to pick up his young children or walk without a cane. There was one option. Sofosbuvir, a uridine nucleotide analogue that inhibits hepatitis C virus polymerase to prevent the virus replicating, had been shown to be incredibly effective in the USA and had just been approved in Europe for treatment of Hepatitis C. NHS England were in the process of setting up the Early Access scheme scheme where patients, such as Nils, with advanced liver disease would receive these new drugs but it was in the early stages so the medication was not available to Nils. As part of the Oxford Hepatology Research Team led by Dr Jane Collier and Professor Barnes we had experience of working with Gilead Sciences in the Phase III clinical trials with these new Direct Acting Anti-Virals, Sofosbuvir and Ledipasvir (now licensed as Harvoni) and we had treated patients with this drug in a clinical trial setting. I believe all of this had led to us having a good working relationship with Gilead which I think helped in pushing for Nils to receive Harvoni. Professor Ellie Barnes, Nils' consultant, was convinced that Sofosbuvir would eradicate the Hepatitis C virus from Nils' body and with his condition quickly deteriorating, she went directly to the maker, Gilead Sciences, to get it. Nils became one of the first people in the UK to receive Sofosbuvir outside a clinical trial. After eradicating the virus Nils was finally able to go on the transplant list for a new liver. 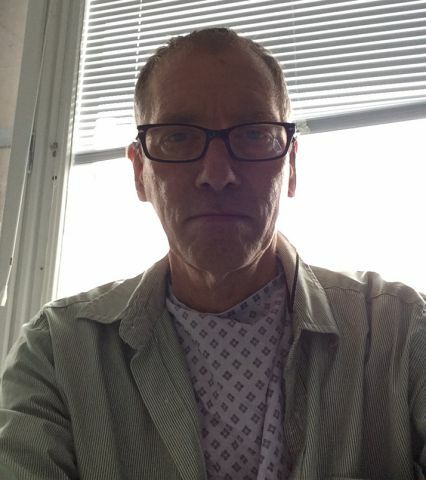 In August 2014 he saw his consultant in London and was told to spend as much time as he could with his children as he had at the best 6 months to live without a new liver. Nils was diagnosed with advanced liver disease and was starving to death due to an inability to process food to get any nourishment. 'Knowing that you're dying if nothing happens is very different to knowing that you will die soon. 'When you get a transplant your new liver has to match your blood type and body size. It is a weird situation where you are like a vampire in a casino. You are waiting for your number to come up so that you can feed. Which means that somebody else is dead. It is an awful thing but you are praying for the right person to die. Thankfully, Nils was able to receive a transplant in time and has now mostly recovered. 'In the ICU I was afloat in a sea of tubes. I had tubes in and out of my neck and my arms. I had drains in both sides of my abdomen to get rid of excess liquid. I had oxygen going down my nose and throat. It was me, excruciating pain, a solitary nurse, and a bunch of machines; but I was alive. 'I had an amazing recovery. The first step is just getting out of the bed and moving to a chair. I was out of ICU after 2 days and walking after a week. I woke up every morning with the sunrise because it was so amazing to be alive. 3 weeks after surgery I was able to be in the park with my kids. I was driven there but I could pick my daughter up for the first time in 6 months. 'I am alive because of the liver transplant but I have survived because of the treatment, Sofosbuvir. It is the most amazing drug and I completely credit it with my being alive. The joy of being alive and take care of my family is the best job I have ever had. Today, the hepatitis treatment service run by Dr Jane Collier is available in regions across the UK and has enabled relatively equitable access to drugs across England. One challenge now faced by University researchers is to identify patients who are unaware that they are infected with Hepatitis C and to develop and provide a vaccine to prevent new cases.